Climate change and its importance was the underpinning message at the launch of ‘Irma Diaries’ – a timely book recently written by local author Angela Burnett. At the book launch held at the International Arbitration Centre on 19 December a moment of silence was observed for the four persons who passed away as a result of the hurricane. Centre Manager at the BVI International Arbitration Centre Janette Brin in her remarks to the gathering questioned whether as a Territory we have been taking the subject of climate change for granted. She said that the passage of the two deadly hurricanes sends a message about climate change. She said the International Arbitration Center is in a unique position to assist with climate change matters because it is the closest mechanism that exists to settle climate change disputes. Author Burnett explained that the publication does not belong to her, but rather it belongs to all of us. She said she spent the last 10 years educating herself about stronger hurricanes and climate change issues. She admitted that Irma is likely just a glimpse of our future in a climate-changing world. However Burnett said that Irma shocked even her. 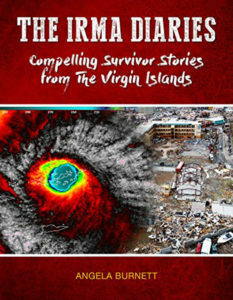 In speaking about her journey writing the book, she said: “I have cried and laughed several times while writing this book.” The author said she sought to use the personal stories from the hurricanes to help people connect with the real issue of climate change because it is found that people pay more attention to what they care about. Some 25 persons shared their stories for the book and Burnett said that she started to write the book on 2 October. She was stopped a few times by police as a result of curfew and wrote parts of the book by candlelight with pen and paper because of the power outage. Additionally the author said she was able to capture stories from even the sister islands. “Every time I captured a new story it propelled me further,” Angela said. She also hopes that her book will become part of the he history of the Territory and save the BVI’s future. 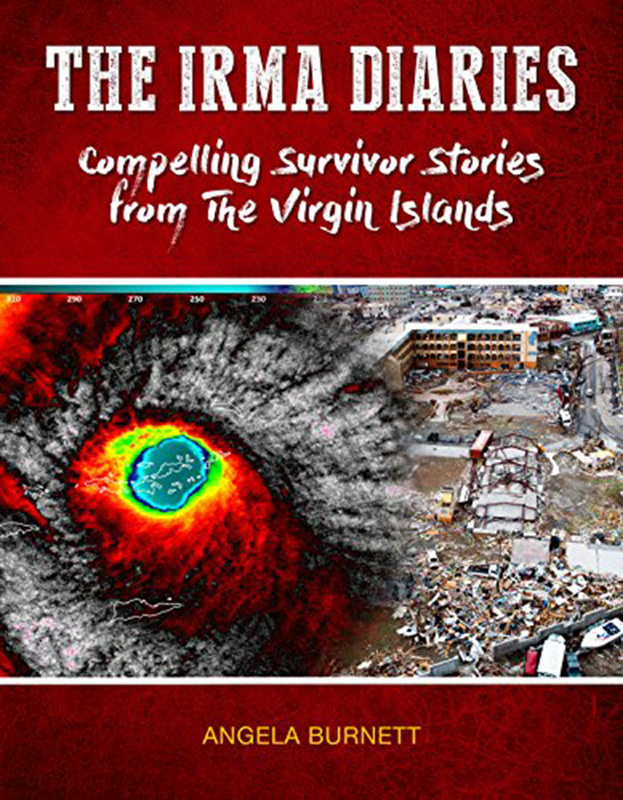 She hopes that the Irma Diaries will serve as the final warning about climate change. Premier Smith told the gathering that what happened in the BVI with the hurricanes was unprecedented. He added that the BVI should be thankful that there was not more loss of life. He said the trees are growing back which is a sign of hope. He noted that Angela assisted in the BVI’ establishment of a Climate Trust Fund. Permanent Secretary in the Ministry of Education and Culture, Dr. Marcia Potter said that the stories told across the length and breadth of the Territory about hurricane Irma are breathtaking. Dr. Potter said she too laughed and cried when she heard the stories and she thanked Angela for putting pen to paper the Permanent Secretary said she hopes the stories illustrate the resilience of the people and encourage the next generation to take care of the environment. Available locally & on AMAZON.